The following sentence from The Verge an understatement. Amazon’s web hosting services are among the most widely used out there, which means that when Amazon’s servers goes down, a lot of things go down with them. Numerous services rely on Amazon and are down, but Mary Baum retweeted a Gillian Owen tweet about one particular service. I still have not checked http://isisitdownrightnowdown.com/ - and I won't, because who knows what's there. Probably Warren Beatty's non-love letters to Faye Dunaway. I've previously ranted about how acronyms can conceal rather than reveal. Abbreviations can be just as bad. I recently received an email that mentioned "intel experts." Was the email talking about people who are knowledgeable about computer chips, or people who are knowledgeable about spying on foreign countries? Account-based marketing offers the promise of providing precisely targeted information to you and me - although, as I previously noted, it has to get a little better at targeting. Plenty, if you believe David Siegel of Two Sigma, who just authored something for Business Insider entitled Infinite personalization is making us dumber. While Siegel started by referencing political ramifications, I'll concentrate on the business ones. [P]ostings in a news feed are carefully selected by algorithms in a very proprietary way, mainly to get us to use the service more. This makes good business sense, but it subliminally impacts our thinking. Like streaming music recommendations, these algorithms are very good at filtering out postings that we’d dislike, potentially robbing us of alternative points of view. What difference does this make in a BUSINESS sense? The technology of infinite personalization is getting so good that it’s debatable whether we choose our information sources, or the other way around. Clearly, that's good business for the providers of these algorithms and the companies that use them to advertise and sell. I'll use a personal example. Last Saturday morning, my wife noticed a black screen of pining for the fjords on our old desktop computer in the office. After I proceeded to start Windows normally, I noticed that I had no wireless connection. After turning it off and turning it on again didn't solve the problem, I ran a troubleshooter and was informed that I had no drivers for a wireless connection. Funny, I had those drivers a few days ago (although I've had to manually connect to wireless a lot lately). Now I could have proceeded to fix the problem, but this is an old computer. So I thought to myself, perhaps this #IAmNotTrendy guy ought to think about an upgrade. In theory, this meant that I would survey the vast amount of information available on the type of computer that I desired, and then make a rational, quantifiable decision on the best computer based upon neutral criteria. Every day, we make decisions based upon what is presented before us on our various screens. So, as Trevor Carpenter noted, The Federalist Papers shared a Conservative Tribune post that was sourced from an LA Newspaper Group article (in this case, from the San Gabriel Valley Tribune). In a sense, this story about the relocation of Nestle's headquarters from California to Virginia is the story of two government approaches - that of the state of Virginia (along with Arlington County, the county where I grew up), and the city of Glendale, California (and, by extension, Los Angeles County and the state of California). So Virginia is throwing $16 million at Nestle, while California tells Nestle not to let the door hit them on the way out. Of course, I myself am part of the problem, because I'm not business friendly. Speaking of organic, Nestle signed a sweetheart deal years ago with the U.S. Forest Service to take millions of dollars of water out of the San Bernardino National Forest at minimal charge. Now perhaps you haven't seen Nestle Water on your shelves, but you've seen Arrowhead water. Yup, that comes from my national forest. Perhaps if I just agreed to let Nestle take all that water, and cut down all the trees (that's a joke - there are hardly any trees in the National Forest because of the elevation) in the National Forest to boot, they would have stayed here. But then again, perhaps my friends in Arlington will have their own troubles when Nestle gets to their Rosslyn headquarters and starts draining water out of the Potomac. And I recall one church in nearby Alexandria, Virginia that frowned on the use of Nestle products years ago - that whole baby formula thing, you know. If any of the people from that church are still around, perhaps they'll want to impose a $17 million penalty on Nestle to recoup the $16 million in losses. San Gabriel Valley Tribune, "Why Nestlé USA is moving 1,200 jobs, and its HQ, out of Glendale"
To drum up foreign investment in the county and more international carriers for Ontario International Airport, Curt Hagman returns to China on Thursday, six months after his last trip established business partnerships with regional officials. The vice chairman of the San Bernardino County Board of Supervisors and a commissioner of the Ontario International Airport Authority, Hagman leads a delegation Thursday through Feb. 25 to the cities of Wuxi, China, and Taoyuan, Taiwan. With him will be OIAA CEO Kelly Fredericks, Hagman said. The Chamber of Commerce of Metropolitan Montreal and its Acclr team of international trade experts kicked off a six-day trade mission to China [on February 16]. The trade mission gets started aboard Air Canada's inaugural direct flight between Montréal and Shanghai. This is a unique opportunity for participants to create ties with the business communities in Shanghai and Hong Kong, centres of economic growth for China. China was always the odd country out in the Trans-Pacific Partnership talks, so these moves to increase trade with China would have been welcome even if the TPP process had continued. (And remember that if Trump hadn't pulled out of TPP, Clinton said that she would have done so.) 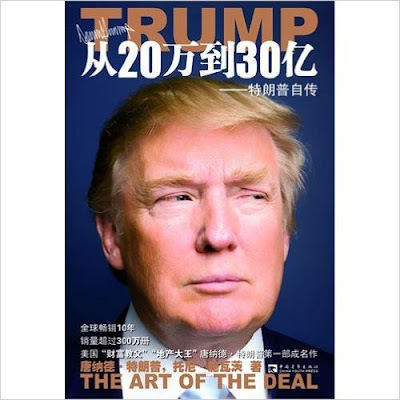 And with TPP now pretty much dead, China is pursuing its own partnerships on a bilateral basis - or perhaps eventually on a multinational one, as I previously noted. As [Sumantra] Maitra poses the argument, two new coalitions of nations are forming. One consists of the nationalists – the United Kingdom, the United States, Russia, and possibly other European nations in the coming months – nations who value nationalism and protectionism. According to Maitra, the other coalition consists of nations such as China who remain committed to globalism. So China is effectively creating its own "trans-Pacific partnership," and the smaller powers are trying to jump on the bandwagon. But the smaller powers don't have much power here; if they did, then Curt Hagman and CCMM wouldn't be flying to China; China would be flying to San Bernardino County and Montreal. Actually, that quote doesn't come from Trump. It comes from Sun Tzu. At times, I have posted using the title "Silicon Valley is Devoid of Reason." Here is a December 2014 post that used this title. If there is a common theme to most of the posts, it is that the Silicon Valley thinking is often at odds with thinking in other parts of the country, and the world. In other words, Silicon Valley thinking can come up with a cute app or a nice enterprise database, but it's not going to make the trains run on time. This raises the question - will Silicon Valley's sometimes myopic focus result in a decrease in its ability to innovate? A couple of years ago, I advanced (for self-serving purposes) the argument that Interstate 79 is a hotbed of innovation. For those who don't recognize this interstate, it runs through West Virginia, which is the location of some major Federal projects for the FBI, the DoD, and others. Without getting too self-serving, I will note that many of the current discussions regarding privacy are based upon activities that don't take place in Palo Alto, but are centered in West Virginia. But Morgantown and Clarksburg are not the only potential usurpers to Silicon Valley's throne. There's also New York - if you believe a writer from Crain's New York Business. Yeah, he's self serving too, but hear him out. The business revolution of the next several decades will move beyond the early tech plays — faster, smaller chips or connecting people and information virtually. It will be about transforming large industries that no longer meet their customers' demands into something more efficient and personal. That can happen only where those industries are. So although Silicon Valley dominated the first wave of technology disruption, the advantage has shifted to New York, with its vastly greater diversity of businesses. The city is the undisputed global leader in industries, from finance and advertising to fashion and the arts. Pretend for the moment that you are a fashionista in Manhattan. You recognize that your enterprise requires a transformative technical solution for something or another - perhaps an algorithm that can modify a model's smile into the stone face that models use when walking down the runway. You, the fashionista, decide to talk to two separate companies about your needs. One of the companies is based about ten streets away, and the principals attend fashion shows regularly. The other company is a couple of thousands of miles away, and is run by some guy wearing sneakers and a hoodie who thinks a runway is something that Sully lands on when a river's not available. Yes, you're experiencing deja vu all over again...sort of. 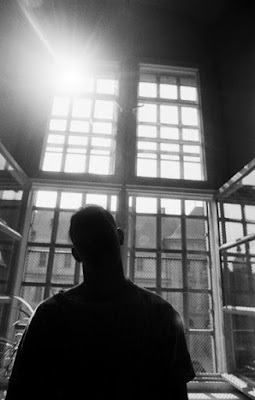 When reading the title of this post, you may have been reminded of my recent post with the title "I can't hear you...and that's a good thing for Facebook Video." In that post, I talked about how wonderful it was that Facebook videos did not automatically play with sound. "Facebook users are voting with their ears; more than 85% of videos are now played without turning the sound on." Why? Because, as AdAge notes, people viewing video on mobile devices find sound to be intrusive. I wrote that post on Monday, February 13. Today I learned (H/T Marlar House's "Daily Dose of Weird News") that Facebook made an announcement the very next day - Tuesday, February 14. Because whenever Facebook makes a change, they make it for our benefit - right? So, using one of my examples from my Monday post, let's say that I'm sitting in an airport, scrolling through my Facebook. The poor person next to me could hear something like this as I scroll through my feed and sound fades in and out. ...because your friends like K-Y, here's a video about our products! At that point, the person sitting next to me in the airport might be disgusted. Or, if that person happens to be a western Wisconsin liberal, he or she may be overly attached to me. If you don't want this to happen to you, Alex Fitzpatrick of TIME has provided step-by-step instructions to turn off sound auto-play on your mobile device. First, click the three-line icon in the bottom-right hand corner of the Facebook app. Then, tap "Settings." Next, hit "Account Settings." Then tap "Sounds." 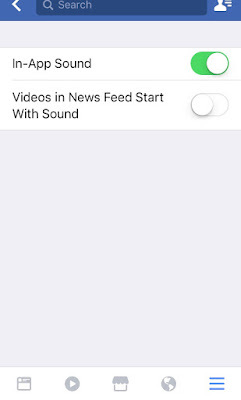 There, you should see an option to turn off "Videos in News Feed Start With Sound." Note that the change is rolling out gradually, so you might not see the appropriate setting just yet. Until recently, marketers did not have the ability to tailor their marketing to specific persons. Marketing either was targeted to everyone (for example, your typical Super Bowl ad) or was targeted to a bunch of people (for example, the readers of Hoard's Dairyman). Today, of course, online marketers can gather data and metadata and megametadata and target a specific message to me and me alone. PetTrax is focused on keeping your pets healthy and vibrant. Sounds like a winning marketing message, right? But the PetTrax people had no way of knowing how I personally feel about the word "vibrant." You see, when I think of that word, I think of former Kool marketer Ludo Cremers. Remember him? "Kool understands the vibrant urban world of the trendsetting, multicultural smoker," said Ludo Cremers, divisional vice president, brand marketing. "Kool is the menthol authority. At the same time, Kool keeps it real and remains linked to the latest urban trends. We'll showcase these trends this year through Kool Mixx and other promotions and events." So while the PetTrax people want me to think of a device that keeps our pets fed, I'm thinking of a dog with a menthol cigarette in his or her mouth. Marketing can't solve every problem. Now PetTrax will probably get Paul McCartney to shout at me - and I deserve it. P.S. Cremers, by the way, is still involved in films. One of the articles I saw was one that Gordon Feller tweeted about - an article on Meeting of the Minds entitled What, Exactly, is a Smart City?. But before I talk about that article, let me mention who wrote it, Peter Williams, Ph.D. KNOWN FOR: Creating new businesses in established companies; identifying new uses of data and technologies (especially Internet of Things - IOT - and analytics) that enable new or improved business models; advising start-ups and established companies; innovation and lateral thinking; expertise as a change agent. THEMES:- Resilience and sustainability; IOT; artificial intelligence; analytics; business implications of emerging technologies; all for both public (city/state) and private sectors. SKILLS: - Innovation; Strategy; Planning; Business Model Design; Process and Organization Design; Business Metrics; Demand Generation; Sales Enablement; Partner Ecosystem Development and Channel Management; Communications; Change Agent. SECTORS: - Government; Utilities; Cleantech; High Technology; Manufacturing; Defense; Consumer Goods. In addition to his work for IBM, Dr. Williams is also a visiting lecturer at Stanford University. Teaching a 3-unit class on Smarter Cities - how ICT enables smarter cities, and the advantages and pitfalls that arise. My first iteration of the class had 11 students. In 2015 and 2016 it maxed out at 50+. As he notes in the article, Dr. Williams' 50+ students who are taking the class obviously want to know what a smart city is. If you break the phrase down into two words, you can attack each word one at a time. For Dr. Williams, "smart" is fairly straightforward. Smart cities are a leading manifestation of the internet of things (IOT): they involve the use of sensors – either standalone or added to physical devices – to generate data that can be communicated, integrated and analyzed to enable some aspect of city life to function better in some way. Data flows may be used singly or in combination with other flows, or in combination with historical (ie accumulated) data from the past. At this level, IBM (my employer) has a snappy definition of “smart” – “Instrumented, Interconnected, Intelligent”. The Smart Cities Council is in much the same place, with its “collecting, communicating and ‘crunching’” [of information]. So we have a working definition of "smart." But isn't "city" straightforward also? To people in the United States, we usually define cities in terms of size (and sometimes incorporation). New York, New York is a city. Guasti, California is not. But things are a little different in other parts of the world. St Davids, with its cathedral, is undoubtedly a religious center, but with its tiny population, not really an economic or social one. Yet the mere town of Reading has a university, several top-flight sports teams and a strong economy adding value to a significant stretch of SE England; it is clearly a center of several things, and of some significance. This leads me to suggest that we should use a more neutral term such as “community” in preference to city. Communities can be large or small, and they may or may not be a center of some noteworthy aspect of human activity; they may be separated from other communities or they may be aggregated into a conurbation of some kind. But any community of any size or significance can be “smart”. Communities should also define the services of interest to them, within their territorial boundary or outside it, as required. Perhaps the community is Reading, England. Perhaps the community is the entire state of Andra Pradesh in India. Or perhaps the community is the non-governmental Waze community, a worldwide subset of people who are using information from smartphones and other sources to calculate optimum driving routes. This terminology debate piqued my interest, so I started to wonder if there were others that talked about "smart communities" rather than "smart cities." And I found a few examples. ESRI uses the term. Yokogawa uses the term. And, as Geoff Arnold points out, Verizon uses the term. This is all really a semantic issue, but perhaps an important one when you are targeting your Internet of Things strategy. If you just focus on the cities, you're missing a lot of the market. Our movement from the desktop to the laptop to the mobile device has required us to rethink a bunch of things. 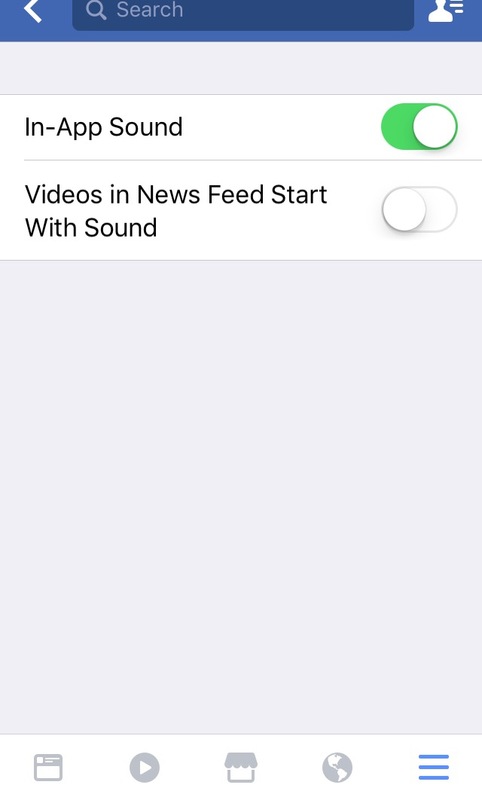 Facebook users are voting with their ears; more than 85% of videos are now played without turning the sound on. Why? Because, as AdAge notes, people viewing video on mobile devices find sound to be intrusive. If you thought sound was intrusive back in the 1990s when your desktop computer would surf to auto-play MIDI files, consider the situation today. You might be sitting in an airport, or in a coffee shop, or in your cubicle, and the last thing that you want to happen is to have sound blaring out of your phone. But you can caption your videos; in fact, for some customers Facebook can do this automatically. I've tested this feature; here is the video with unedited captions. And yes, I've already broken AdAge's tip 2, "work with a vertical screen." Let's fix that. And let's actually add captions after the fact to a Facebook Live video. I done said a few things about the Porch a little while ago - November 14 if you're into dates and stuff. I can go out and stand on our porch and take a look over yonder and see the stuff across the road - the metal shop, the chapel, and the little old bank by the corner. I can grab me a cup of tea or coffee from the Flavia machine and just gaze out on the world. Well, The Porch construction (and related construction) has proceeded along to the point where I can take a picture. The building kinda sorta visible through the windows is "the metal shop," a/k/a Micrometals. Obviously the modernistic layout is delightful to those there marketing people, of which I am one. Now I just need a rocking chair. #outpacing The secret to getting mentioned? Not avoiding the radar. Entrepreneur Magazine recently ran an article about using competitive insights to outpace rivals. The article began with an example of a company that responded to competitive pressure. When United Airlines announced that early this year it would start offering a "basic economy" class (Delta and American have made similar announcements), the option was an obvious attempt to tap into a different market: budget airline passengers. The author, Jim Fowler, didn't discuss the wisdom of that particular move, but confined himself to looking at this as an example of innovating (rather than reacting - see my post from 20 minutes ago). See if you notice a common theme in the headings Fowler (or perhaps his editor) used in the article. 1. Keep the skies friendly. 2. Follow other flight patterns. 3. Stay open to alternate routes. I assume you see what he did there. But actually, I'd like to make a point regarding this "not avoiding the radar" phrase that I mentioned in the post title. While noted business thinker Dusty Street was famous for saying fly low and avoid the radar, the truth is that businesses very much want to be on the radar. Certainly Street's former employer, the "Roq of the 80s," understood that principle well. Perhaps you want to briefly avoid the radar as you're planning, but once you launch your radio format, new fare structure, or Entrepreneur Magazine article, you want to be on everyone's radar. #outpacing The secret to getting mentioned? References. Entrepreneur Magazine recently ran an article about using competitive insights to outpace rivals. At one point, the article talks about ways to monitor the competition. Next, once you have the information and the data you need, trying to glean insights from it can be intimidating. Many companies take quarterly deep dives, but that’s three months of information to sift through. Wouldn’t a better solution be to keep your finger on the pulse with daily tidbits of competitive intelligence? In the original article, the words "competitive intelligence" are a hyperlink - to Owler. And I guess it's also kinda sorta relevant to note that the author of the piece, Jim Fowler, is the founder and CEO of Owler. I guess when he named his company, he didn't want to give it an F.
Of course, as I previously noted in a post on my Empoprise-BI Facebook page, this is not the first time that Owler has self-promoted. #outpacing The secret to getting mentioned? A pithy quote. Entrepreneur Magazine recently ran an article about using competitive insights to outpace rivals. When reading such articles, it helps to look for the words "in short." In short, using the competition's moves to drive your own innovation is a lot different from reacting to what the opposition does. As USA Today reported early this morning, 97 companies filed a "MOTION FOR LEAVE TO FILE BRIEF OF TECHNOLOGY COMPANIES AND OTHER BUSINESSES AS AMICUS CURIAE IN SUPPORT OF APPELLEES." In essence, the companies objected to some of the immigration aspects of the executive order "PROTECTING THE NATION FROM FOREIGN TERRORIST ENTRY INTO THE UNITED STATES." Those who support President Trump's position may choose to boycott these 97 companies, in the same way that companies such as Starbucks and 84 Lumber are being boycotted. But 97 companies is a lot of companies. How many of these companies have provided products or services that YOU used in the last few days? I can count Apple, Automattic, Facebook, Foursquare, GitHub, Glassdoor, Google, Levi Strauss, LinkedIn, Microsoft, Spotify, SurveyMonkey, Twitter, Wikimedia, and probably a dozen others that I missed. So why Levi Strauss? Its Bay Area location? Its place in Silicon Valley corporate attire? Inventions and discoveries by immigrants have profoundly changed our Nation. Some, like alternating current (Nikola Tesla), power our world. Others, like nuclear magnetic resonance (Isidore Rabi) and flame-retardant fiber (Giuliana Tesoro), save lives. And yet others, like basketball (James Naismith), blue jeans (Levi Strauss), and the hot dog (Charles Feltman), are integral to our national identity. And the brief doesn't even mention Albert Einstein or Wernher von Braun. While thinking about a Monday post idea, I went through the things that I recently shared on my Empoprise-BI Facebook page and ran across this item that features Jesse Stay. I've mentioned Stay in my blogs multiple times, most recently in July. And I'm sure that he's touched that he has been referenced in such a prestigious blog as this one. But even I must admit that while a mention in Empoprise-BI is phenomenal, an article about you in ADWEEK is perhaps a bit more prestigious. The article is actually from 2014 (which is why Stay is wearing Google Glass in the accompanying pictures), but the tips equally apply today. When a business creates a social media presence on a platform such as Facebook, the business can proceed in one of two ways. One is to create a page devoted to the business. Another is to create a separate Facebook page for each of the business' products. For one client, Stay recommended a variant of the second method, but instead of focusing on products, he focuses on benefits. Or, in his words, passion. So he created "passion pages" for his customer, familyshare.com. Instead of creating and promoting one main-brand Facebook page, we figured out who our audience is and what areas we want to target, what areas we want to move into, and we built Facebook pages around each of those, focused on the passions of those audiences for each page — passion pages. We used “I love” in our page names, a lot. The goal was to build up a large audience and spend as little as we could to grow the audience. Then we could post links back to our web sites at zero cost and drive traffic. Within six months, we doubled our referral traffic from Facebook. I hear they have doubled that seven times since then. So now it's a year and a half after the ADWEEK article was published, and I went to visit one of the pages - I Love My Family. The page continues to publish content, and is liked by over 9.8 million people (including at least one of my Facebook friends who doesn't know Jesse Stay from Jesse James). Perhaps I should get back to my fiction(ish) book.